Living a healthy life is not an opportunity but a choice that everyone could make. All it requires is discipline and commitment towards it. And, the secret to good health is the truth known by almost everybody – eat healthy, sweat out daily, sleep tightly and get medical checkups regularly. This ritual does give your body a world of good health and potentially prevents an array of medical conditions. Most importantly, consuming the right food is necessary. Food that you consume determine the quality of health. After all, we are just what we eat! You should know what to eat and what to avoid. The ideal diet plan maintains the perfect balance of all the nutrients such as proteins, vitamins, minerals, liquids, including the fats and carbohydrates. Your body needs all these nutrients. The balanced diet provides the nutrients that are most important to the body while reducing the number of calories. Following the healthy lifestyle that consists of good food and physical activities may not give you the assurance of a complete disease-free life but it will definitely give your body the necessary strength to fight tooth and nail with the diseases. 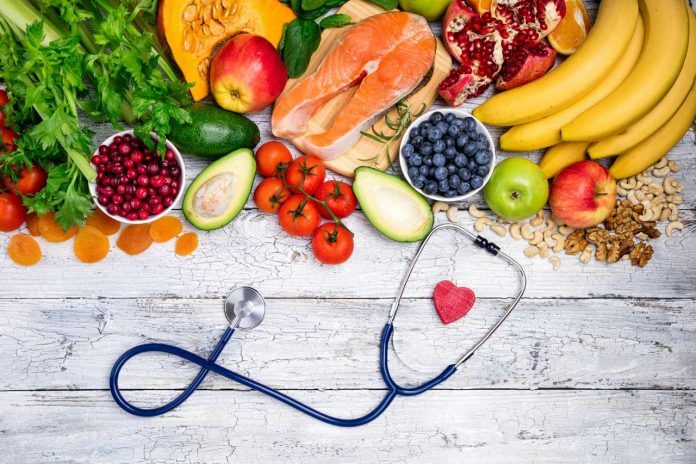 Here is a list of 6 amazing food options that not only increase your intake of nutritional values but also strengthen your immune system to prevent chronic disorders. Keep in mind to make them as part of your regular diet. Our body needs spinach and dark lettuces more than you could imagine. Consume spinach and other foods that are rich in magnesium that could significantly lower chances of type-2 diabetes. In addition, leafy greens are an excellent source for carotenoids, iron, vitamins and antioxidants. Greens go easy on the digestive system and improve the bowel movements too, thanks to the dietary fiber available in greens. Beans and legumes is a great source of the protein that is of high-quality. Protein is the building block of life as every cell needs high-quality protein for cell-division and to repair the damaged ones. The nutrients available in beans and legumes lower the blood pressure and streamline healthy blood flow in the body. Include beans in salads and soups regularly. In addition, legumes and beans contain fiber, folic acid, iron, calcium and magnesium that help the body in healthy aging while reducing the chances of certain cancers. Omega-3 fatty acids are essential to prevent blood clots and fats that are associated with cardiovascular diseases. Daily intake of fatty fish can significantly reduce the risk of rheumatoid arthritis, asthma and other neurological disorders. The fatty and oily fish that include salmon, tuna, herring, sardines and whitebait take the credit of being the best food sources for omega-3 fatty acids. Ensure that fatty fish is part of your diet for at least two servings per week. Whole grains contain the whole goodness of all nutrients. Grains that are high on dietary fiber and contain the important sources of vitamins and minerals. Dietary fiber is essential in lowering the blood cholesterol levels which otherwise could lead to chronic conditions such as diabetes and hypertension. Give a kick start to your day with the likes of oatmeal or millets. Whole grains could make great a breakfast in various ways, thanks to its low calorie quotient. Ensure at least five servings of whole grains per week. Nuts are full of protein, fiber, vitamins, selenium and, mono and polyunsaturated fats that are great energy boosters. Nuts are also proven to be the best remedy to avoid many chronic disorders, especially neurological conditions. Nuts are excellent snacks and they make you feel contented between meals. Grab a fistful of these energy boosters whenever you are feeling low on energy levels. Reduced bone strength has become common. Especially, age-related degeneration is one of the major health issues faced by the elderly population. Dairy products contain calcium and other minerals that are essential for bone strength. Apart from bone health, they are good for diabetes and people with hypertension as these products help in maintaining minimum blood sugar levels. However, duly consult your dietitian before including dairy products in your diet chart as people with certain health conditions need to prefer low-fat dairy products. The full-time nutritional food powerhouses such as vegetables, fruits and lean meat should not be avoided. Apart from healthy food consumption and physical activities, make sure you are undergoing regular health checkups to find or to prevent chronic health conditions in their earlier stages.